The official 2015 butter cow. SPRINGFIELD, Ill. (WLS) -- The official 2015 butter cow was unveiled Thursday as part of opening day of the Illinois State Fair in Springfield. It's a tradition that's been around for more than 90 years. For the past several years, the cow has been sculpted by artist Sharon Bumann. 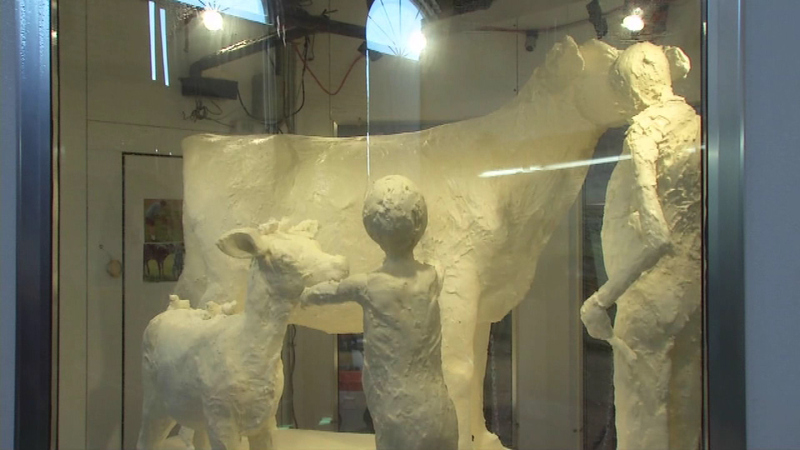 She says the cow sculpture scene was inspired by her own family farm. The fair runs through August 23.